I’ve been in the online brokerage industry for 22 years and what we are experiencing right now, with all the change and advancement in technology and client service, is incredible. Canadian DIY investors have always wanted a brokerage that listens and supports them 24 hours a day, 7 days a week. And like most consumers, they want products and services that are more convenient, simple to understand, intuitive, and straightforward in delivery. One of our priorities this year was to make life easier for Canadian option traders, many of whom could only execute option strategies like straddles or strangles by calling their brokerage or placing two separate trades. Our solution was to offer online multi-leg option orders. Now our clients can execute their option strategies quickly, simply and with only one base commission. It’s a great addition to the conditional order types we added last year, which let you automate a sequence of trades for different scenarios instead of making on-the-spot decisions, or missing out altogether. We’ve been focused on mobile trading for a while and are seeing a major increase in the number of clients placing trades using the TD app. Our investments in mobile have led to a few firsts. We’re the first bank-owned brokerage in Canada to let investors set push mobile notifications for market alerts. And those multi-leg option orders I mentioned – you can do those in the TD app as well. We think more people will enjoy the convenience of mobile trading as we continue to integrate the tools and features of our trading platforms into the mobile app. Together with TD’s retail bank, our efforts have helped the TD app become the top rated banking app in Canada. At TD, we want to enable investors to do more things easily and independently, whether they’re at home or on the go. Some notable milestones we are working toward for next year include efficient online account opening and an expansion of our investor education program. Active traders can look forward to major enhancements to our Advanced Dashboard platform, including faster, fully-integrated order entry and fill notifications. As Canada’s first and largest online brokerage, we led the way in making investing easy, accessible, and affordable. We’re building on that legacy with a vision for the future that puts our clients’ experience at the forefront of everything we do. 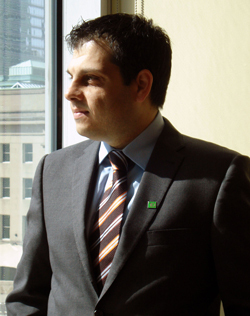 To learn more about TD Direct Investing visit their website or view our profile of TD Direct Investing here.